13262 ft (4042 m) . 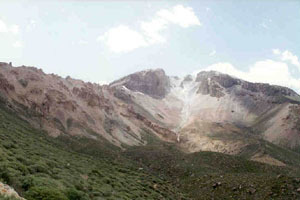 Taftan is the tallest of several volcanoes in southeastern Iran, a group of moderately-large stratovolcanoes which stretches into neighboring Pakistan and Afghanistan. This area is extremely arid, so it is unclear how often the volcanoes are skiable, and despite reaching a maximum height of over 13000 ft (4000 m) there is no permanent snow or ice on any of them. 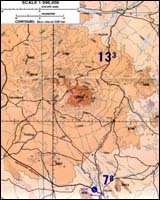 Information about climbing these volcanoes is difficult to find, and about skiing them is nonexistent. Taftan is a broad eroded stratovolcano, with a still-active crater atop its summit cone. 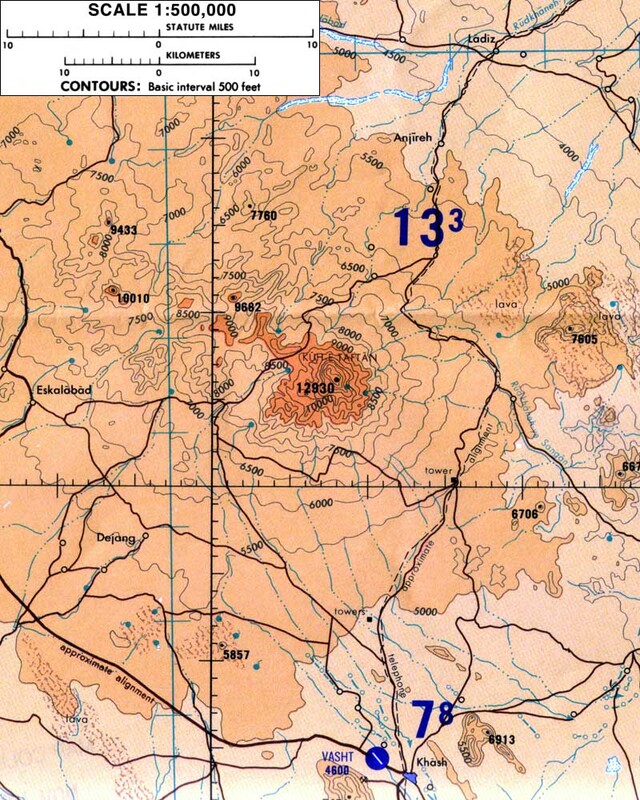 Access to Taftan appears to be straightforward, as a number of roads run high up on the flanks of the massif, including one which crosses northwest of the central cone reaching as high as 9000 ft (2700 m).